"WE HAVE THE PLEASURE OF WORKING ALL OVER THE U.S. AND THERE IS JUST NOT ANOTHER DSQ. THEY SPOIL US WITH FORWARD THINKING ARRANGEMENTS, AWESOME MUSIC AND BEING FANTASTIC PARTNERS ON OUR EVENTS!" If you are booking for a more intimate setting this is a great option. The gold package can be booked as either the acoustic quartet or an electric string quartet. Amplifying the instruments with the electric quartet is our most booked option in this package! Great for dinner music, small events, or even cocktail hours. This is DSQ’s most popular package. Offering a wide range in music selections from soft dinner music to upbeat fun entertainment. The electric strings, drums, and guitar give your listeners a versatile show! The platinum package is often booked for corporate events or receptions. If you are looking for a show that will stay with your audience this is the package for you. 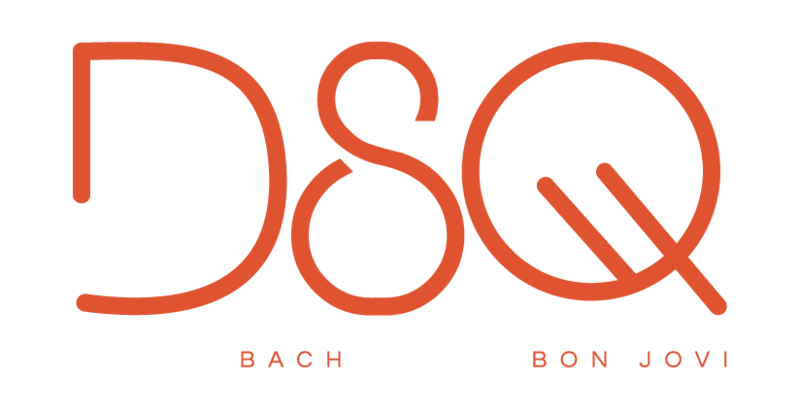 The Ultimate DSQ Experience takes your crowd on a musical journey offering the widest range of music that DSQ has to offer. From violin dueling to crowd engagement this is one that is sure to wow the crowd. Along with customizing your band from 6-8 different instruments this package also includes lighting and sound.